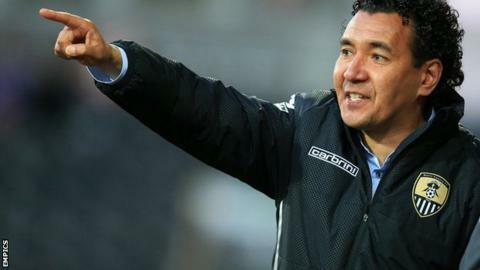 Chief executive Aileen Trew has said Notts County should have brought in Ricardo Moniz as manager "sooner". Moniz replaced the sacked Shaun Derry as boss in early April, but was unable to save them from relegation. He only managed one win in his six games in charge and the Magpies went down on the last day of the season after a 3-1 defeat against Gillingham. "In hindsight maybe we shouldn't have been giving somebody as long as we did," Trew told BBC Radio Nottingham. She said the club should have "brought him [Moniz] in sooner". "It was a very difficult task for him so close to the end of the season," she added. For can hear Aileen Trew's full interview with BBC Radio Nottingham by clicking here.